Unofficially set as a prequel for the Transformers franchise, Bumblebee is set in the 80’s. Bring in the synths and the pop culture references because Director Travis Knight had a field day playing around with them. The setting alone set apart the film from the entire franchise. It wanted to have fun and have fun it did. For a film with such levity and heart, I had to remind myself every few minutes that I am watching a freaking Transformers movie! The Autobot Bumblebee is a crowd favorite because he is yellow. He is cute. And he is an underdog. He can land punches as good as Optimus and the other Autobots but B-127 or Bumblebee has a charming vibe that made me go, “AWWW!” even when he is in a fight. In the movie, he is not the only underdog. There is Charlie Watson, an 18-year old teenage girl who only wants one thing: her own car. A distant daughter and an independent teen, Charlie finds a friend in an abandoned car. She fixed it and then soon found herself being fixed by Bumblebee. The mutual relationship grew into a cute and a deep one. It was a great tale of an underdog finding strength from a fellow underdog. The fans have been talking about this for the longest time: CYBERTRON. Since I am not a fan, I could not quite build an excitement for the Autobots and Decepticon’s home planet. Still, I had a basic knowledge of their universe. However, I felt a different kind of rush seeing it come to life during the film’s prologue. I had a little hope in me that there can possibly be a prequel set in Cybertron in which we see the battle between the two factions! 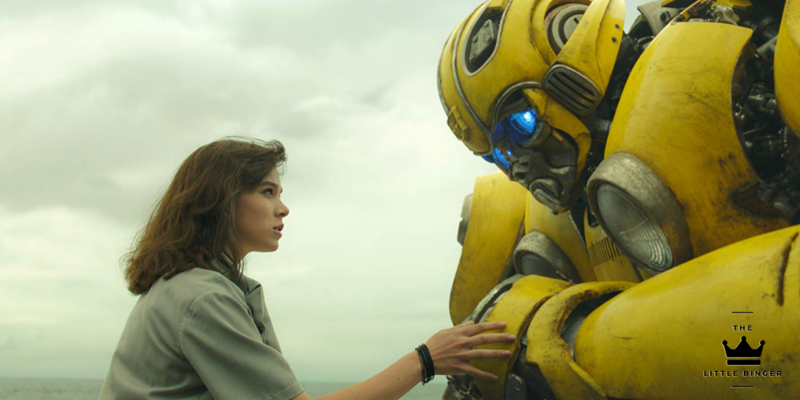 So, do you need more reasons to see Bumblebee Movie, Bingers? It is the least exhausting and most fun Transformers to date. It has a heart and an actual plot to work with. Action-lovers will not be disappointed because it still has the explosions that are inherently Transformers. Only this time, the explosions make sense. There is a story that requires it. Toxic masculinity is gone and unnecessary drama and air times are gone. Bumblebee took a piece of narrative and made the most out of it. Yes, never in a million years I thought I was going to say this but I NEED MORE TRANSFORMERS MOVIE IN MY LIFE. Bumblebee gave me a taste of how good this franchise can become! I haven’t watched any Transformers movie yet. Maybe it’s about time to give it a try. Based on your review, Bumblebee is a great movie to watch. Thanks for the reco. I’ll go back and check your reviews every week!